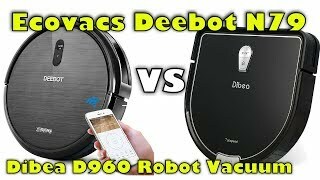 The Dibea D960 is one of the most-popular budget robots that comes with a price tag of around $200. It's D-shape works better on corners. It has two side brushes, a main roller brush and a brushless motor that delivers 1200Pa of suction power. 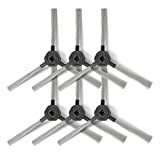 It performs very well on a bare floor; and even though it can do thin carpets, it is not able to deep clean a carpeted surface. The working time of 120 minutes is amazing considering its price tag. 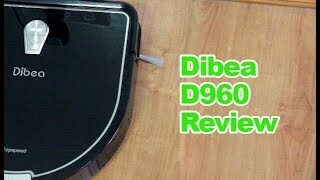 The Dibea D960 is equipped with sensors that make it avoid obstacles and prevents it from dropping from stairs. 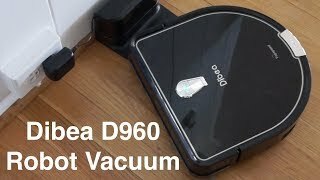 Also, the robot has an auto-recharge feature thanks to which the Dibea D960 gets back to its station to recharge on its own. Because of its shape, the Dibea gets stuck sometimes. It isn’t Wi-Fi enabled and can be controlled only by its IR remote control.